The adaptation is said to explore how man became the planet’s dominant species. 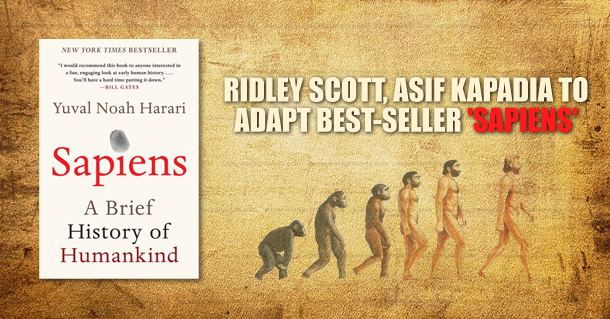 Ridley Scott (Blade Runner, Alien) and Oscar-winning documentarian Asif Kapadia (Amy, Senna) is teaming together to adapt the international best-seller Sapiens: A Brief History of Humankind by Israeli professor Yuval Noah Harari. Scott and Kapadia secured the rights, represented by WME, in 2017. The development of the project is being supported by Wellcome. The project will be a co-production between Scott Free Productions and On the Corner Films and executive produced for Scott Free by Jack Arbuthnott and David Zucker and for On the Corner by Kapadia and James Gay-Rees.